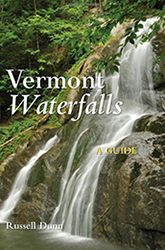 As you drive along NH 145 past the center of the town in Colebrook, you will travel up and down gently rolling hills, although nothing of significant elevation change. 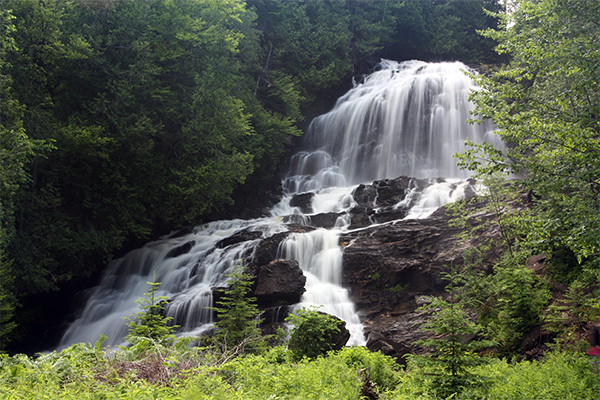 The land is nearly flat and it is difficult to imagine that a waterfall over 80 feet in height could be located here. 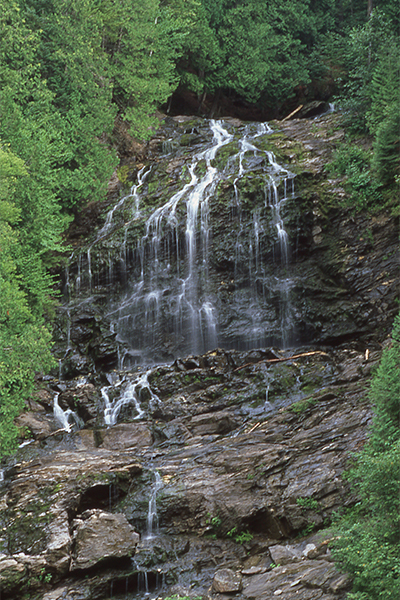 Just as you come around a bend in the road, look to your right and you will be instantly mesmerized by the sheer size of the dribbling horsetails at Beaver Brook Falls. 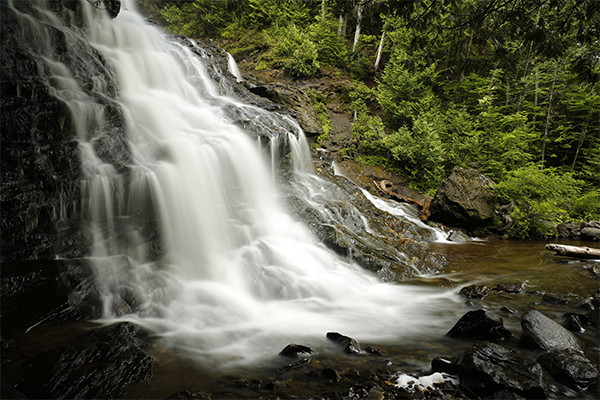 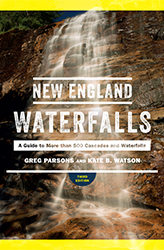 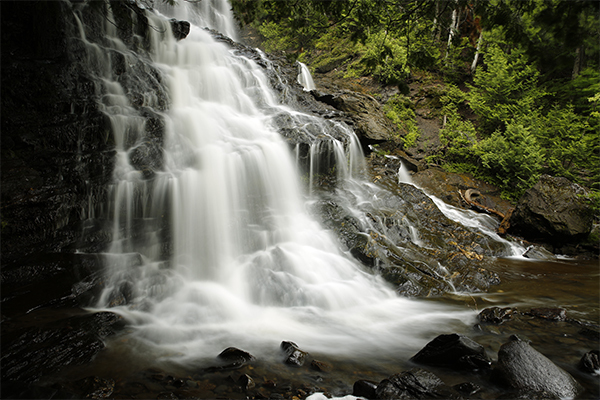 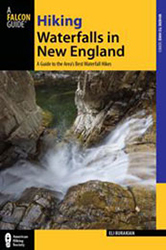 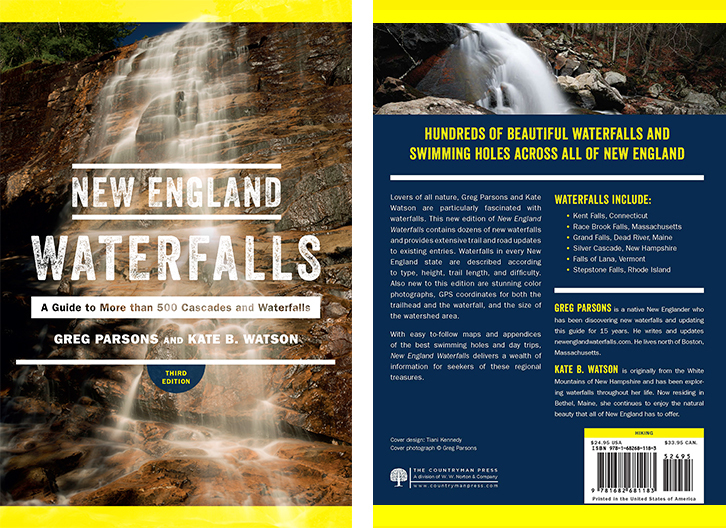 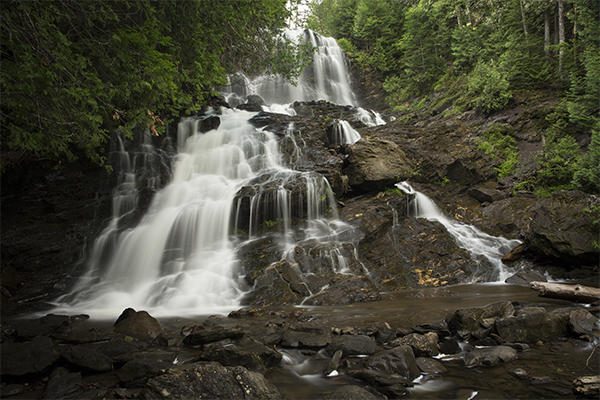 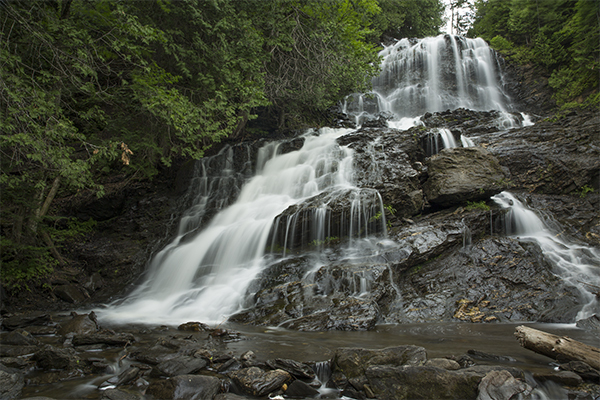 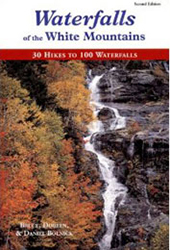 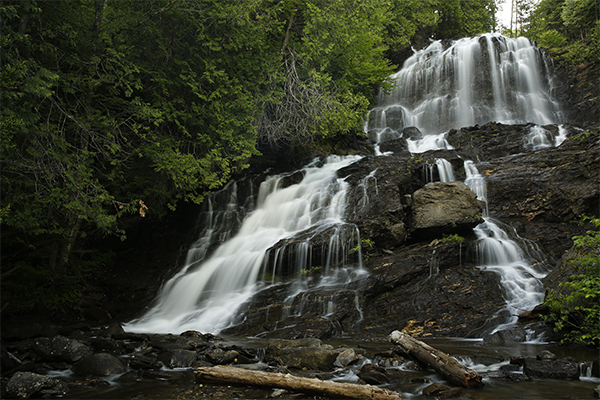 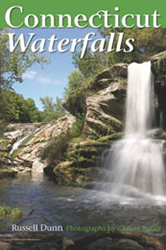 Also surprising is the number of visitors to a waterfall located in northern New Hampshire, well past the White Mountain National Forest region and within close range of the Canadian border. 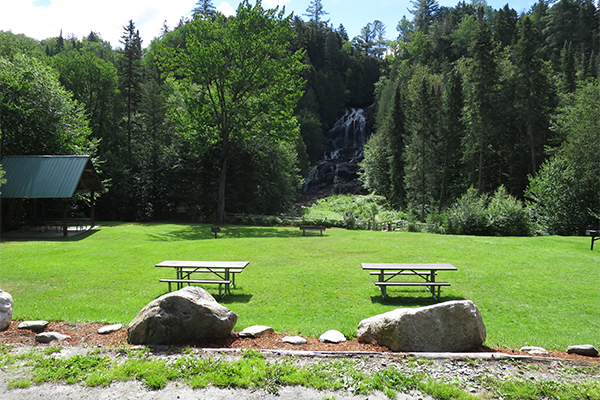 The area is popular enough that the state has declared it as an official “Scenic Area” and has thus equipped the park with several covered picnic tables and pit toilets.